A picture of a fish often found in places of Assembly of the early Christians in the catacombs and cemeteries of Ancient Rome and Greece, and in medieval Christian architecture. There are several complementary theories as to why the fish became a symbol of Christianity. 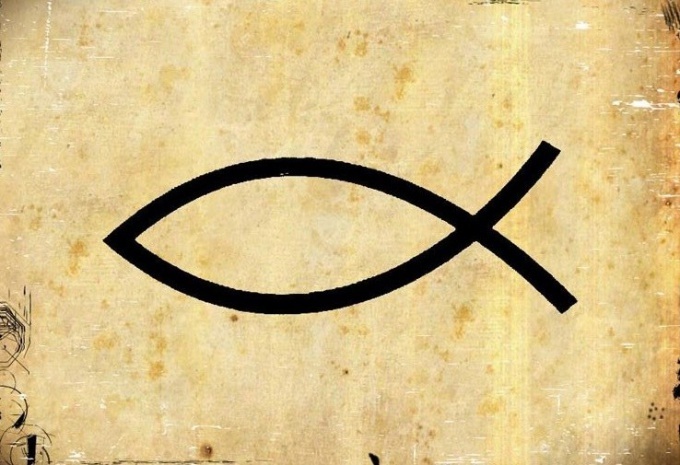 Proponents of the first theory say that fish was elected as a new symbol of faith and identification among early Christians because the Greek spelling of the word is an acronym of the main dogma of the Christian faith. "Jesus Christ, Son of God, Savior" was and remains to this day the religion of Christianity, and the first letters of these words in Greek (Ἰησοὺς Χριστὸς Θεoὺ Υιὸς Σωτήρ) form the word Ίχθύς, "ichthys", "fish". According to this theory, early Christians, depicting the sign of Pisces, professed their faith and at the same time learned co-religionists. 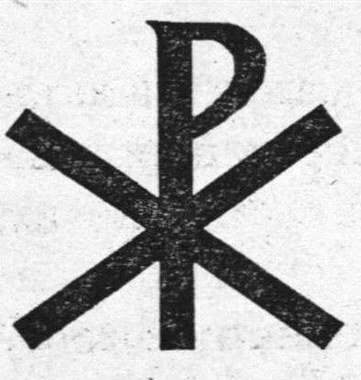 In the novel by Henryk Sienkiewicz “Quo vadis” there is a scene in which the Greek Hilon says Patricia Petronio this version of the origin of the sign of Pisces as a symbol of Christians. According to another theory, the sign of the fish among the early Christians was symbolic designation of the followers of the new faith. The basis of this approval are frequent references to fish in the preaching of Jesus Christ, and in His private conversations with his disciples, later apostles. He metaphorically calls of people in need of salvation, fish, and future apostles, many of whom were formerly fishermen to "fishers of men". "And Jesus said to Simon: fear not; from henceforth thou shalt catch men" (Luke 5: 10) "the Ring of the fisherman" of the Pope, one of the main attributes of clothing has the same origin. In biblical texts it is also argued that only the fish survived the flood, sent by God for the sins of the people, besides, had taken refuge in the Ark. In the beginning of the era the story was repeated, Greco-Roman civilization has experienced a terrible crisis of morality, and the new Christian faith was intended to be salutary, and with the cleansing waters of the new "spirit" of the flood. "More like the Kingdom of heaven to a net cast into the sea, and gathered of every kind" (Matthew 13: 47). Also of note is the theory that the fish became a symbol of Christianity due to its primary food function. The new creed was primarily distributed to the most oppressed part of the population. For these people, simple food like fish was the only salvation from starvation. In this some researchers see the reason why the fish became a symbol of salvation from spiritual death, bread of new life and the promise of life after death. 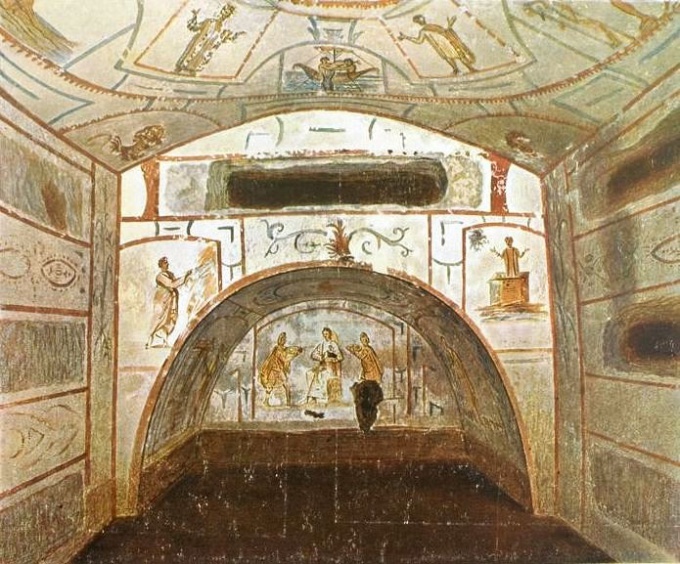 As evidence, proponents of this theory cite numerous images in the Roman catacombs in places of worship where fish acted as a Eucharistic symbol.